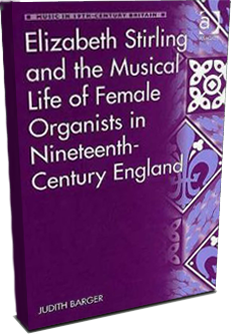 ‘Ladies Not Eligible’ applied not only to organists, but also to choir members in nineteenth-century England. Robed female choristers in the chancel of both liturgical and non-liturgical churches are a common sight in worship services today. But women’s voices were silenced in England during the nineteenth century when some Anglican parish churches dismissed female choir members in favor of boy trebles. It is tempting to interpret the reintroduction of female voices into Anglican church choirs late in the nineteenth century as a positive stride in the equality of the sexes within the walls of the patriarchal church. But in reality the act was less conclusive. Not only vocal timbre, but also church architecture, ecclesiastical policy and social convention influenced church authorities’ decision to include or exclude women as choir members. This sense of decorum was the topic of The Singing Gallery by Lucy Lyttelton Cameron (1781–1858), a writer of widely circulated tracts and books for children and the poor in nineteenth-century England.4 The daughter of an Anglican clergyman of evangelical persuasion, around 1830 Cameron turned her focus to the improper behavior observed in young women who formed part of a parish church choir seated in the organ loft. Showy ribbons on bonnets and an excess of curls in the hair, incessant whispering and laughing with young men in the choir and a general lack of attention to and participation in the worship service were among the bad habits in need of amendment. Although their voices were not faulted at that time, women on display in the choir were thought to detract from, not to enhance, the worship experience. Their singing was associated more with secular than sacred occasions Perhaps the sight of female choir members reminded clergy and congregation of operatic divas, of popular ballad singers or even of music hall performers – associations that had no place in the sanctuary. During the nineteenth century, England experienced a resurgence of religious thought and practice that had implications for choir members. Begun in 1833 as a reaction of Oxford scholars to perceived governmental interference in affairs of the Church of England, what became known as the Oxford Movement found supporters in Cambridge, where scholars formed the Cambridge Camden Society in 1839 and became known by the name of their periodical publication, The Ecclesiologist. Members of the Oxford Movement propagated their beliefs in a series of Tracts for the Times, giving the name ‘Tractarians’ to the movement and to those persons who supported its teachings. The tracts used as their starting point the article of the creed, ‘I believe in one Catholic and Apostolic Church’, the meaning of which essentially had been forgotten by a church that ‘seemed to have lost all sense of its divine origin, mission, and authority’.5 In the minds of some High Churchmen, the Anglican Church had become too ‘Protestant’, privileging the anti-Roman orthodoxy found in the Thirty-nine Articles over the older Catholic tradition found in the Book of Common Prayer.6 The tracts did not focus on church music; that topic was addressed by the Cambridge Ecclesiologists in their publications beginning in 1843.7 The influence of these two reform-minded groups of theologians eventually extended beyond the academic setting to the wider urban and rural parishes. The chancel, an important medieval feature often bereft of its original purpose in nineteenth-century churches of accommodating a number of resident clergy, was to be reinstated if an acceptable use could be found. The answer lay in relocating the choir from the back of the church to the front chancel. Although initially reluctant to admit laypersons into the ‘holy precincts’ of the chancel, the reformers relented in the case of lay choirs.10 The singers in the chancel were to be surpliced, that is, to wear robes, and, because the cathedral model was to be emulated, all choristers would be male. If female vocalists were a distraction in the west gallery in the rear of the church, their presence would be considered even more disruptive in the chancel near the altar, the church’s focal point. When parish churches began to adopt the Anglican cathedral model of all-male choirs, women who were singing in the mixed choirs previously found in these churches were dismissed, and boy singers filled their places. The extent of this change can be surmised in the number of advertisements in music journals for male versus female choir members in the second half of the nineteenth century. Advertisements for male voices were at least 16 times more prevalent than those for female voices. This choral innovation met with varying degrees of success depending on the availability of boys with good voices, choir directors to train them and parish funds to support the music program. Not all churches implemented the cathedral choir model, and some parishes that did were not satisfied with the results. Boys could be hard to discipline, and their voices tended to break just at the time when they were most useful. Whether or not ladies should sing in church choirs provided the topic for a spirited debate in the press in the second half of the nineteenth century. In 1848 a correspondent who signed himself ‘A Chorister’ aired his views in the Musical Times. Dissatisfied with the sound of boys’ voices in choirs, he suggested the use of female voices instead – if not objectionable on serious theological grounds and if a proper uniform could be provided.11 The correspondent’s request that the matter be taken up by ‘more able advocates’ among the Musical Times readership apparently came to nothing at the time. But the letter identified two major arguments used against female choristers. As the introduction of all-male choirs spread through the parish churches over the next several decades, the exclusion of women from choirs became increasingly difficult to justify. Why should female voices that were valued in choral societies and in oratorio choruses and were heard in congregational singing be less valued in the chancel of a church? A brief exchange of letters in the Musical Times in 1886 and 1887 showed that the issue was still on the minds of some readers. When in August 1889 a correspondent signed ‘Musicus’ asked the readers of the Daily Telegraph what objection there might be to a mixed choir of ladies and gentlemen, he received an immediate, overwhelming response. Claiming the topic ‘much ado about nothing’ – a case of making mountains out of molehills – the newspaper, which came out in favour of female choristers, printed 92 of the hundreds of letters it received daily over a two-week period.12 If this may be considered a representative sample, then supporters of female choristers outnumbered opponents about five to four, with other correspondents not stating a clear preference. Opinions were not split consistently along gender lines. For example, of those correspondents that could be identified as female, not all approved of female choristers, and male correspondents also were divided in their views. The newspaper correspondence stimulated further discussion in music journals until the topic had run its course. Two types of arguments predominated in the press. The first, comparing women singers with boy trebles, involved a judgment call: Which group had the better voices? Which voice timbre was best suited for church music? Which group was more manageable? 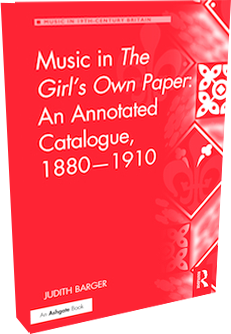 The second, focusing on female choristers, dealt with overlapping issues of propriety from scriptural, social and ecclesiastical perspectives: Should women be permitted to sing in church? Should they be seen in the chancel? How should they be dressed? Issues of propriety were the most contentious. If a woman is permitted to enter other male professions, why not the choir as well? a male correspondent asked. ‘Beware!’ Edward Husband and other conservatives warned. Admit women into the choir stalls, and next they will want to be choir mistresses. Even the pulpit would no longer be considered off limits. That was just what Cassandra, one of the female correspondents, had in mind, though other females, such as Rose Grove who thought women should not try to fill men’s shoes, did not hold the same view. Correspondent Husband admitted that a theological objection to female choristers was groundless when a church had a female organist. To M. Kingston the idea of excluding female choir members was absurd when women played the organ in village churches. When Arthur Edwards remarked that ‘the fittest will survive, and this is true with respect to church choirs as anything else’, he was writing in favour of boy’s voices, but his truism was more a prophesy of the increasing presence of women as choir members in England’s churches. The sight of a female chorister was more problematic than the sound of her voice for many churchgoers. What was a divine spectacle to one correspondent was repugnant and abhorrent to others. Church officials long had been concerned with the spectacle created by the mixed choir’s presence in the raised loft at the back of the church during the anthem. Women in the chancel would have the same effect as women on stage, in essence turning the choir stalls into a proscenium and the congregation into an audience for a performance less worship than concert. For some correspondents the answer lay in letting women form an auxiliary choir in the nave among the congregation, in the west gallery or in the Lady Chapel dedicated to the Virgin Mary. As for poor ‘Old Crusty’ leading his best voices to the altar, why not? Surely he did a better thing then than even to train them to sing, and I suppose they could both sing afterwards as well as before. Let them all do likewise – only live happily together. The flirting and all other such nonsense is not worth mentioning, and where it occurs the fault generally lies in the teacher, and a great deal more with the males than the females. Economics may have influenced the decision of some churches to open their choirs to women. Some correspondents suggested that lady choristers would fill half-empty churches – with men, who might then contribute to church finances. One correspondent reported that offerings in a Birmingham church had increased by a third since ladies had joined the choir. 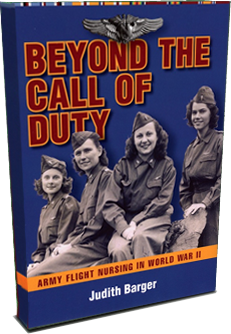 Other correspondents, however, believed that having female choir members would attract the wrong kind of men – those who belonged in theatre stalls, not in church pews. In general, when church music was part of the liturgy, and choir members the official representatives of the priest at the altar, women were excluded. The main desideratum, after all, is that this singing should be tuneful and harmonious, such as to intensify devotional feeling, not to mar or interrupt it. Whether it be performed by boys or girls, surpliced or unsurpliced, would seem altogether a secondary consideration. SIR – We women scarcely expect much quarter from men who find it so comfortable to be placed foremost in the Church, as elsewhere. They do not imitate the Apostle so fondly quoted, for he was courteous and chivalrous – note his words on our side: ‘Help those women who have labored with me in the Gospel, whose names are in the Book of Life.’ Surely this is proof positive of woman’s call to the work she is so nobly fitted for. I suppose the women will be clothed in white in heaven as well as the men, although it is only an ecclesiastical monopoly here. – Yours faithfully, CASSANDRA. John Mason Neale, Church Enlargement and Church Arrangement (Cambridge: Cambridge Camden Society, 1843), 15. Alex R. Vidler, The Church in an Age of Revolution, 1789 to the Present Day (Harmondsworth: Penguin, 1971), 49–50. Marvin R. O’Connell, The Oxford Conspirators: A History of the Oxford Movement 1833–45 (London: Macmillan, 1969), 23. Dale Adelmann, The Contribution of the Cambridge Ecclesiologists to the Revival of Anglican Choral Worship 1839–62 (Aldershot: Ashgate, 1997), x, xii. James F. White, The Cambridge Movement: The Ecclesiologists and the Gothic Revival (Cambridge: At the University Press, 1962), 38–39. Neale, Church Enlargement, 6; idem, A Few Words to Churchwardens on Churches and Church Ornaments No. 1, Suited to Country Parishes, 8th ed. (Cambridge: Cambridge University Press, 1841), 12; Idem, A Few Words to Churchwardens on Churches and Church Ornaments No. II, Suited to Town and Manufacturing Parishes, 2nd ed. (Cambridge: Cambridge University Press, 1841), 6. A Chorister, ‘Correspondence’, Musical Times 2 (1848): 162. An ‘Angelic Quire’, Daily Telegraph, 14–19 August 1889. ‘Ladies’ Surpliced Choirs’, Musical Times 30 (1889): 525; ‘Lady Choristers’, Musical Herald, n.s., no. 9 (1889): 197; Samuel Day, ‘Ladies’ Surpliced Choirs’, Musical Times 30 (1889): 555; Hugh R. Haweis, ‘The Choir of St. James’s, Marylebone’, Illustrated London News, 20 August 1892, 242. ‘Ladies’ Surpliced Choirs’, Musical Times 30 (1889): 555. “Ladies’ Surpliced Choirs’, Musical Times (1889): 555–56. Cantatrice, ‘Employment of Female Voices in Church Choirs’, Musical Times 27 (1886): 742; M.J. [Marie Julia] Cope, ‘Employment of Female Voices in Church Choirs’, Musical Times 28 (1887): 49. W. Lyon Blease, The Emancipation of English Women (New York: Arno, 1910), 122.